Wink brow bar is a popular brand mainly for eyebrow threading service. it’s a chain brand very famous in the United Kingdom, I think you will know that If you work in the beauty industry. 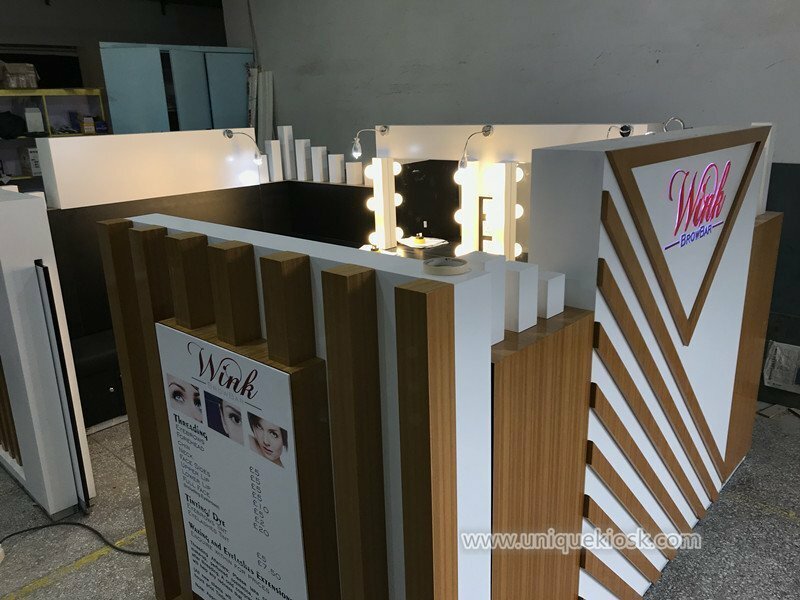 we have done many different types of this brand eyebrow kiosk before, In this article what I wanna share is one of exquisite wink bar eyebrow threading kiosk for your meet. 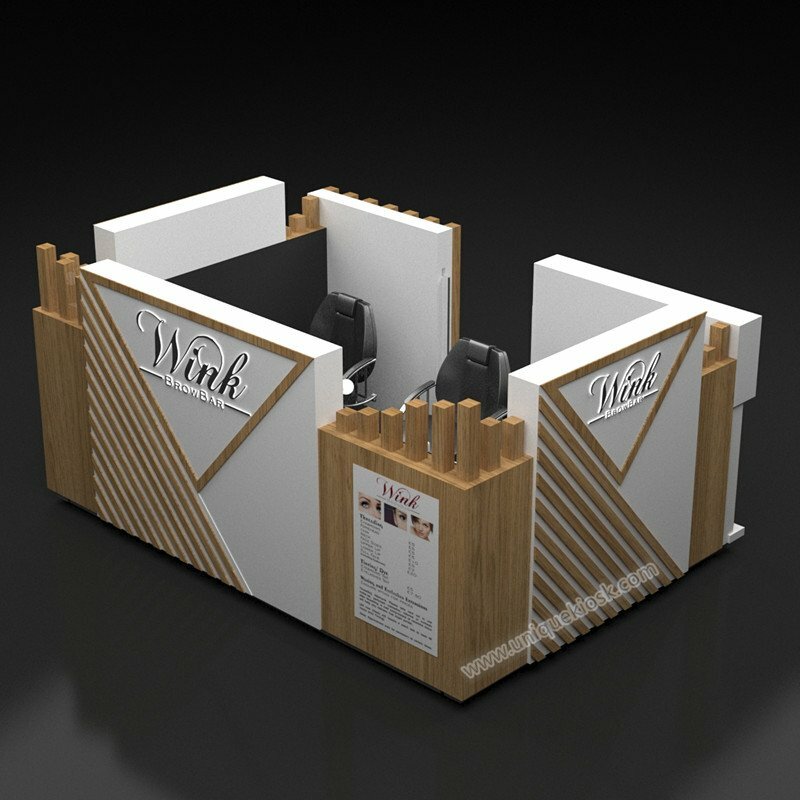 More introduce about this eyebrow threading kiosk. Accessories: acrylic logo, Menu poster. When you see this kiosk first eyes. you will find it’s very exquisite and modern. 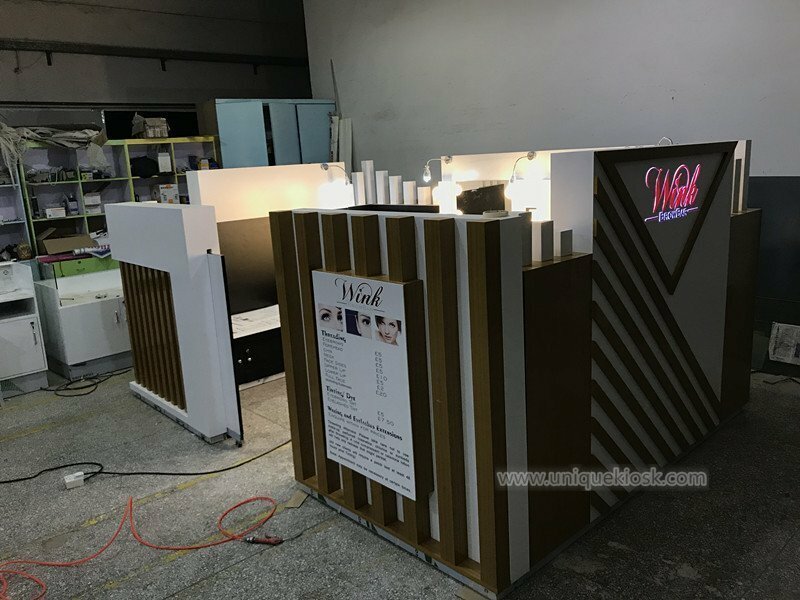 the whole kiosk is very mini, mainly tone is white, match some wood grain strip decoration, lightbox, and Hollow out luminescence acrylic logo. 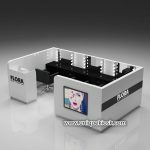 at the kiosk interior is two black eyebrow threading station with mirror and beauty lamp. two sides are some drawers for storage, at the left sides also have a cashier counter. Maybe you also notice the kiosk interior door is a hidden type. It shrinks into the right side wall. I have to say it’s a very clever way. You can see at each eyebrow threading station top sides, we install some wall lamps, when opening it, looks very bright and attractive. do you like it? 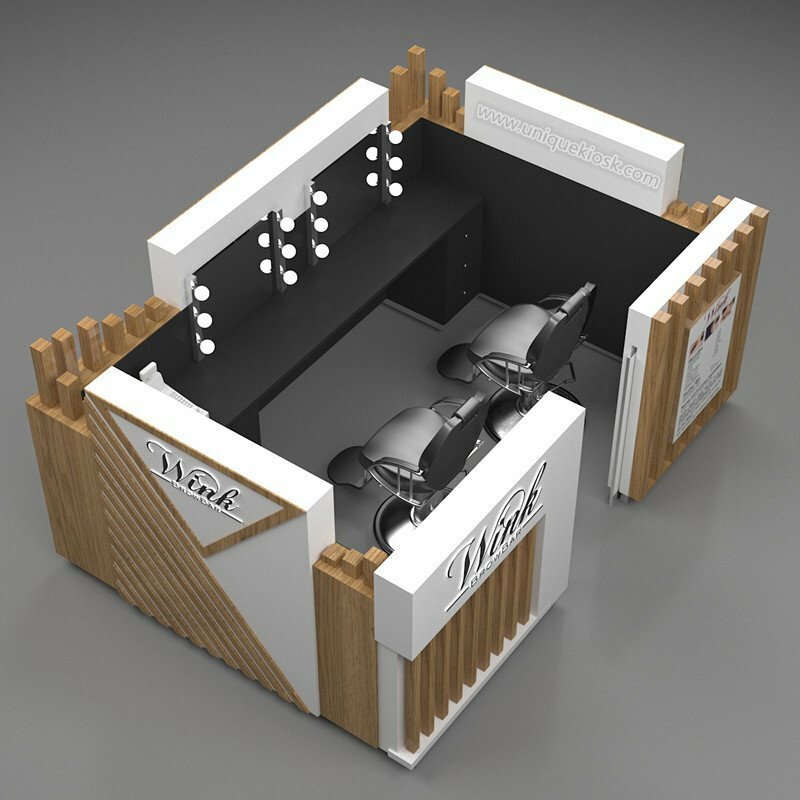 The unique kiosk as a direct supplier, we mainly work on the design and customized for different types of retail eyebrow kiosk and brow bar. there not have a standard for it. it can be customized depends on the mall requirement or your location size. for the whole kiosk materials, size, color, layout. electric wire all can be customized for you. Thanks for your time and reading, if you’re interested start your eyebrow threading kiosk, pls feel free to contact us, welcome inquiry!